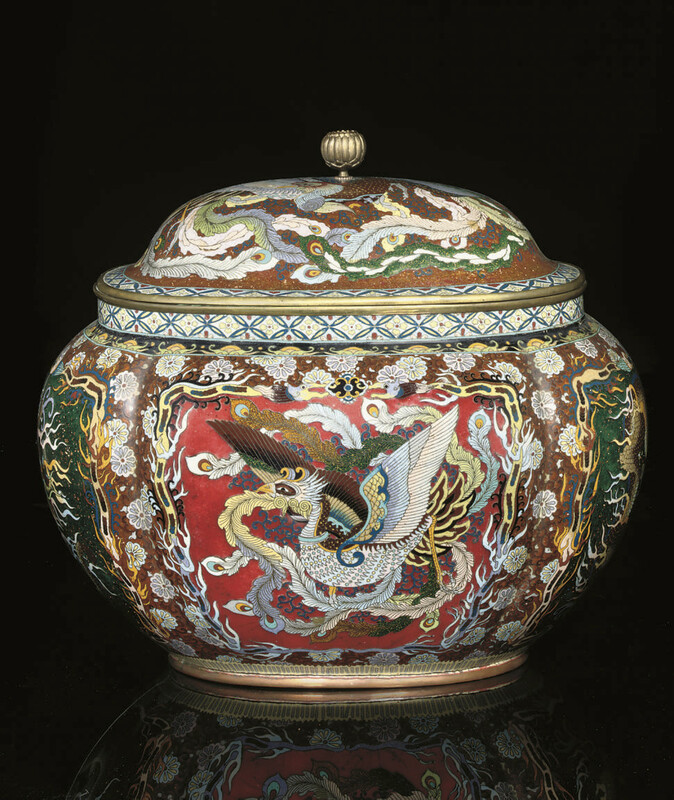 of foliate form and worked in copper wire and colourful enamels, the wider sides each with a panel containing a phoenix on a red ground, the shorter sides with a fierce three-clawed dragon, each panel is surrounded by a stylised snake-like creature on a ground of kiku heads and karakusa, a band of lappets to the raised rim, the cover with a large phoenix, kiku finial, copper rims -- 11in. (28cm.) high.